#HMIchat July 2018 - What Image or Song Would You Choose? 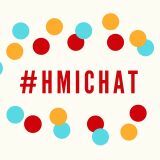 For those of us in the United States, it was a special holiday version of #HMIchat on July 4th— a 24 hour asynchronous chat (no synchronous sessions this time)! 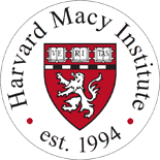 Because July 1st marks the beginning of a new academic year here in the US, the focus was medical education goals for the 2018-2019 academic year. Personal, professional, and institutional medical education goals were all welcomed. Great book for curriculum building, shared by Lonika Sood. Great book for presenting the evidence in medical education, shared by Teresa Sörö. How to write great multiple choice questions, shared by Teresa Sörö. I’ll discuss each of these more in depth below. The first theme called attention to the importance of healthy interpersonal relationships. This discussion highlighted inter-professional relationships and the importance of trust and rapport between those working in the CLE. The necessity of clear and supportive communication strategies was also underscored here, ensuring the creation of safe learning environments that celebrate successes and foster a growth mindset culture within learning and work spaces. Designing learning environments in which there are communal, inter-professional work spaces or lounge spaces was a suggestion to encourage this community culture. A second point of discussion was on the engagement of all stakeholders in the assessment and optimization of the CLE. This included patients and their families, inter-professional colleagues, and learners. In particular, the point on empowering learners resonated throughout the discussion as a valuable asset in improving the CLE. Speaking as an OBGYN resident, residency is a unique time in one’s medical career when we are gradually learning to take on more independence while still operating under a more experienced supervisor and teacher. We are truly entrenched in the CLE every day, and empowering learners (whether medical or nursing students, residents, registrars, or other trainees) to reflect on the strengths and weaknesses of these environments is not only beneficial in the CLE QI process, but could also be beneficial for the learners’ sense of ownership over their continued learning. Co-production and co-leadership are buzz words that have been frequently cited in this capacity; concepts that restructure traditional decanal leadership into something more ‘horizontal’. These concepts can, of course, be applied to other stakeholder engagement as well, patients and inter-professionals included. There were also some branching conversations around the various spaces in which we learn in medicine – consideration to in- versus out-patient settings, academic versus community hospitals, and time and workload pressures in different settings – and the cultures and climates that are so engrained within those spaces. There were some interesting discussions around the importance of ‘in-situ’ versus simulation center simulation and how best to integrate reflection and coaching into the learning environment. Finally, there were a couple resources for assessment and diagnosis of the CLE that were frequently cited throughout this discussion.